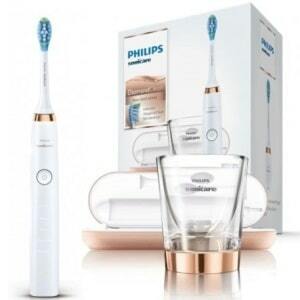 Comparing Philips Sonicare FlexCare Platinum Connected vs Sonicare DiamondClean: Who is the Winner? When you’re choosing between two great toothbrushes, you have to dig deep into the features. 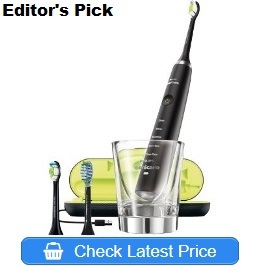 The right toothbrush for you will depend greatly on the features that hit home for you. 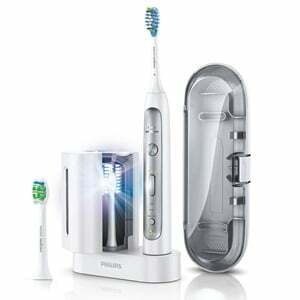 With the Philips Smart Series toothbrushes, there’s advanced technology and care in each toothbrush. There’s no right or wrong choice. There’s only the choice that works best for you. In a choice between Philips Sonicare FlexCare Platinum Connected vs Sonicare DiamondClean Smart, it’ll come down to the style, design, and features that speak to you. This comparison will break down the features and advantages each has over the other. The FlexCare Platinum Connected has high-end features like the Bluetooth app. It collects data that can be used to improve brushing habits. The timer, pacer technology, and touch up features will give the user a cleaner mouth. There are 3 cleaning modes and 3 brushing intensities for the FlexCare Platinum. It includes two brush heads and a pressure sensor in the handle. The handle is a simple white color that fits with any bathroom design. It can be brought with you if you need to travel because it comes with a travel case. The Philips Sonicare DiamondClean also has Bluetooth features. It will track when you’ve brushed and the places you’ve missed. The sensor will tell you if you’re scrubbing too hard, too. There are 5 cleaning modes and 3 brushing intensities. The toothbrush handle recognizes when the brush head is inserted to give you the correct mode. If you use the brush head for whitening, the brush handle chooses the whitening mode. It comes in a variety of colors to match your bathroom or even your smartphone. The Philips Sonicare toothbrushes are all designed beautifully. They have sleek handles with easy-to-push buttons. They both have LED lights on the handle to indicate brushing modes and the battery life. The FlexCare Connected only has one color in its line. The DiamondClean Smart has a smoother design with a variety of colors. There are only two buttons on the sleek handle of the DiamondClean. One turns the power on while the other cycles through modes. The brushing settings can also be selected by simply switching brush heads. The base of the FlexCare is pretty standard. It’ll stand in the base and charge. The DiamondClean has a glass used as a charger. It’s a stunning design that can be used as a rinse glass, too. Brush Heads Included – The DiamondClean comes with premium brush heads for specific functions. There’s a plaque control brush to remove more plaque than regular brushing alone. The gum care brush head will provide gentle stimulation for the gum line. The whitening brush head will remove stains almost immediately. Modes – There are 5 modes and 3 intensities with the DiamondClean. There’s the Clean mode, White mode, Gum health mode, Deep clean mode, and Tongue care mode. The clean mode is for everyday cleaning. The whitening mode removes stains. The gum health mode will give you healthier gums. The deep clean mode goes deeper than the regular cleaning. The tongue clean mode will break up bacteria on the tongue’s surface. Deluxe Travel Case – The charger gives you two weeks of battery life for every full charge. You can take the toothbrush with you on the road with the deluxe travel case if you need to travel for more time. Location Sensor and Touchup – The Bluetooth app will track the brush strokes and areas you’ve cleaned with a location sensor. This will provide real time guidance for areas you might have missed. It’ll alert you and direct you to spend more time in that section. This gives a higher level of clean. AdaptiveClean Brush Head – The brush head adapts to the shape of each tooth. This removes more plaque and gives you healthier gums in two weeks with regular use. The flexible head caters to the surface of each tooth and moves as needed across the teeth. 3 Brushing Modes and Intensity Levels – There’s a clean mode for everyday cleaning. There’s a whitening mode for removing stains from the teeth. There’s also a deep clean that gets deeper for more cleaning power. Most toothbrushes from Sonicare have the great app that will support loads of data. It provides information that empowers their oral hygiene demands. The information can be used to find problem areas. It can be brought to the dentist’s office, so patient and dentist can go over a treatment plan. Deep cleaning and stain removal are two features that these toothbrushes have in common. It’s a feature of the entire sonic toothbrush line from Philips. The brush will remove 10x more plaque and stains than the traditional manual toothbrush alternatives. Brushing modes are another common feature with both models. The number of brushing modes may vary from model to model, but they all have cleaning as a core mode for every brush. The pressure sensor will help users avoid doing damage to their teeth and gums. In a manual toothbrush, the user can bear down with as much pressure as possible. It’s a mistake because it doesn’t give a deeper clean. It just causes the gums to recede due to damage. A pressure sensor will retrain the person to brush without bearing down and causing damage. There are a few features that make the DiamondClean a better choice for some users. The DiamondClean has a sleeker design with its charging glass and various colors. There are 5 cleaning modes for the DiamondClean while the FlexCare has only 3 modes. The DiamondClean has 3 weeks of battery life after a full charge. The FlexCare Platinum only has 2 weeks of charge. They both have travel cases that make them great for taking your electric toothbrush on the road. There are 3 brushing intensities available with the FlexCare, though. The DiamondClean doesn’t have that kind of adaptable intensity with its cleaning. The FlexCare also has a UV sanitizer to ensure that the brush heads are always as clean as possible. It has a pressure sensor, too. 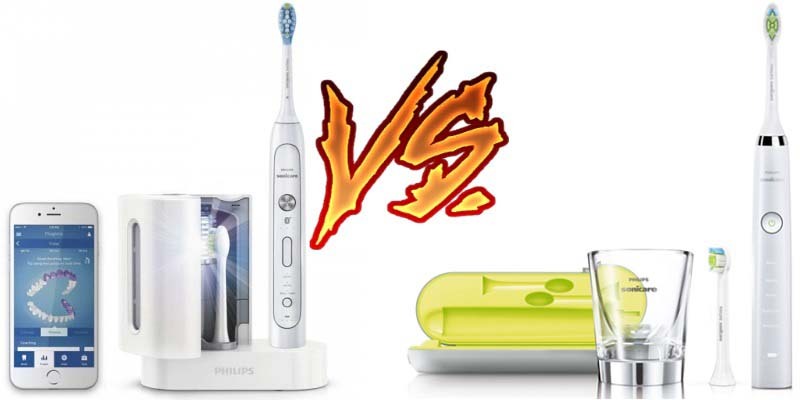 Overall, in the battle of Philips Sonicare FlexCare Platinum Connected vs Sonicare DiamondClean Smart, there is no clear winner. They both have features that the other doesn’t have. The DiamondClean has a longer battery life and more cleaning modes. The FlexCare has adaptive cleaning brush heads and a UV sanitizer. Sonicare DiamondClean vs Oral-B 7000 – Who Wins?